Overprescription of antibiotics and use of pesticides could be all of our undoing if this terrifying and mysterious fungus has its way. 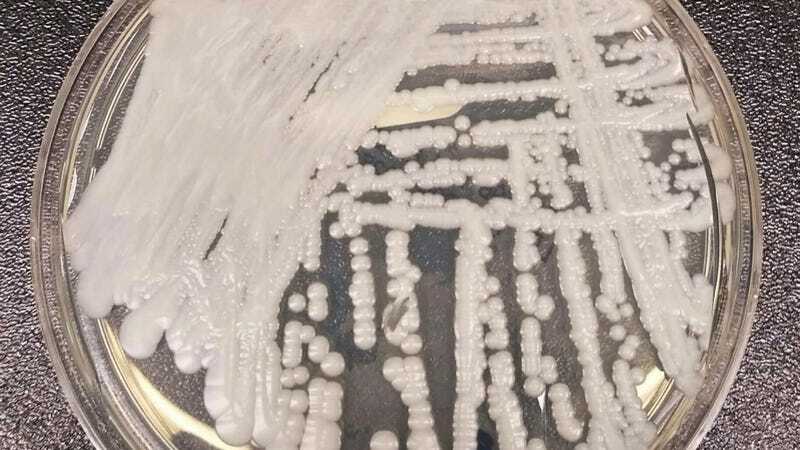 According to The New York Times, a fungus called Candida auris, or C. auris, is causing deaths around the globe and is nearly impossible to completely remove from infected patients’ hospital rooms and equipment. What’s more, hospitals wary of scaring off patients are remaining mum on whether or not they’re even facing outbreaks. “The man at Mount Sinai died after 90 days in the hospital, but C. auris did not. Tests showed it was everywhere in his room, so invasive that the hospital needed special cleaning equipment and had to rip out some of the ceiling and floor tiles to eradicate it. Globally, C. auris has hit a neonatal unit in Venezuela, forced one hospital in the U.K. to close its entire I.C.U. for 11 days, caused an outbreak at a hospital in Spain, and been reported in India, Pakistan, South Africa, and Asia, where it was first discovered. In the U.S., there have been 587 cases reported: 309 in New York, 104 in New Jersey, and 144 in Illinois. The C.D.C. reports that 50 percent of residents in some Chicago nursing homes have tested positive. C. auris can apparently grow anywhere, including IV lines and ventilators. And hospitals wary of getting reputations as fungi-infested death houses often fail to reveal outbreaks for years until they’re under control. In the United States, the C.D.C. isn’t allowed to disclose the names and locations of hospitals dealing with outbreaks, so many states acknowledge that they’ve had them without saying where.